“Son, what do you think we should name the new baby?,” I ask. He says “oh, your right. How about Mom? I like you and we can have a baby like you too”. My friends' 4 year old son wanted to call their new baby "Skull"…and I'm pretty sure he still calls his new baby brother "Baby Skull"! Definitely go with Venom I reckon 😉 How COOL! Don't you just love the way their brains work? LOL! 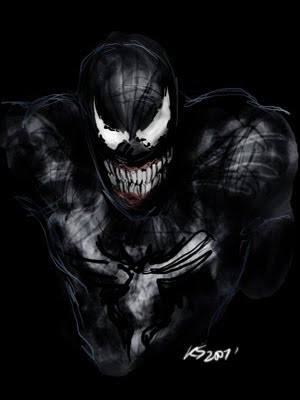 I like Venom too! BUT, on the downside, you probably wont be able to buy anything pre-personalized for him. hee hee..
Aaaaaaaaw……I wouldn't agree with a baby named "Mom" but the reason behind the name picking is too sweet!